All our Bull Bars are built to the highest standard of quality and workmanship – find out more here. 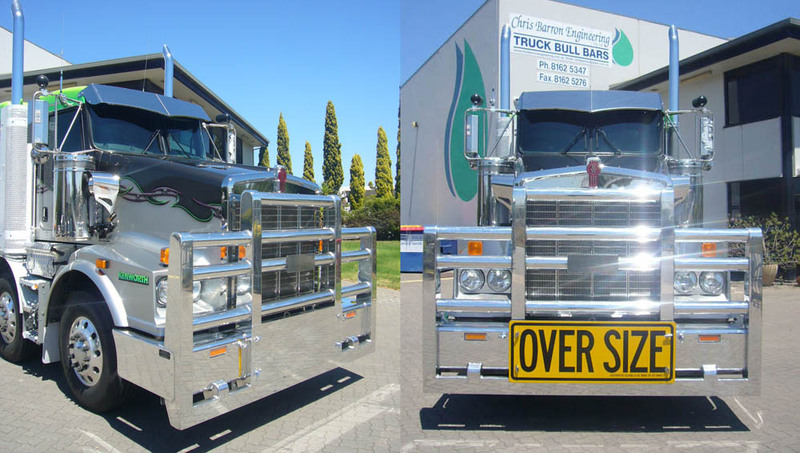 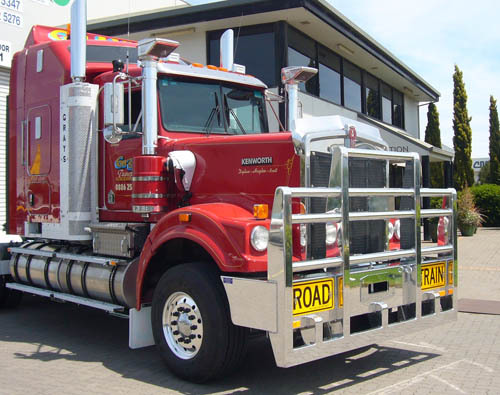 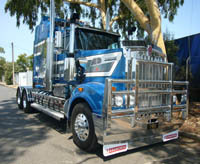 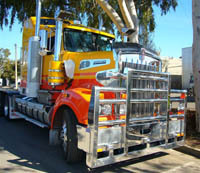 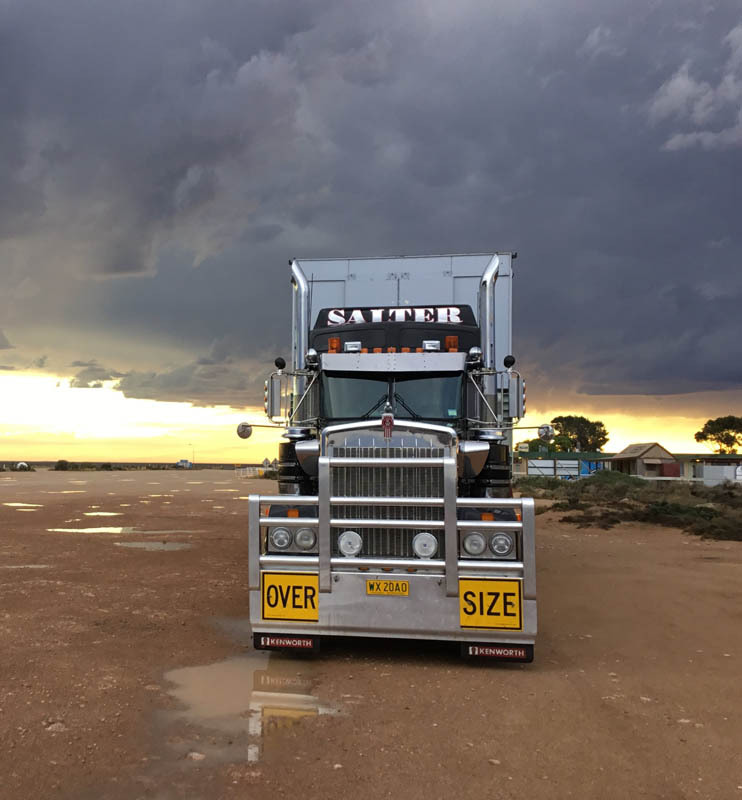 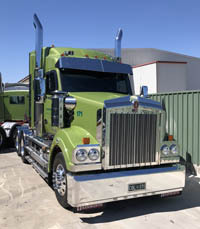 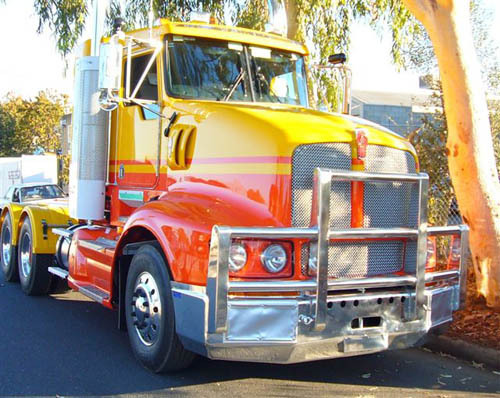 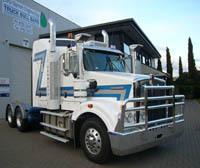 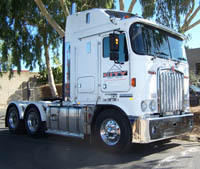 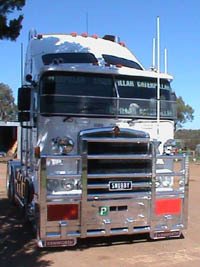 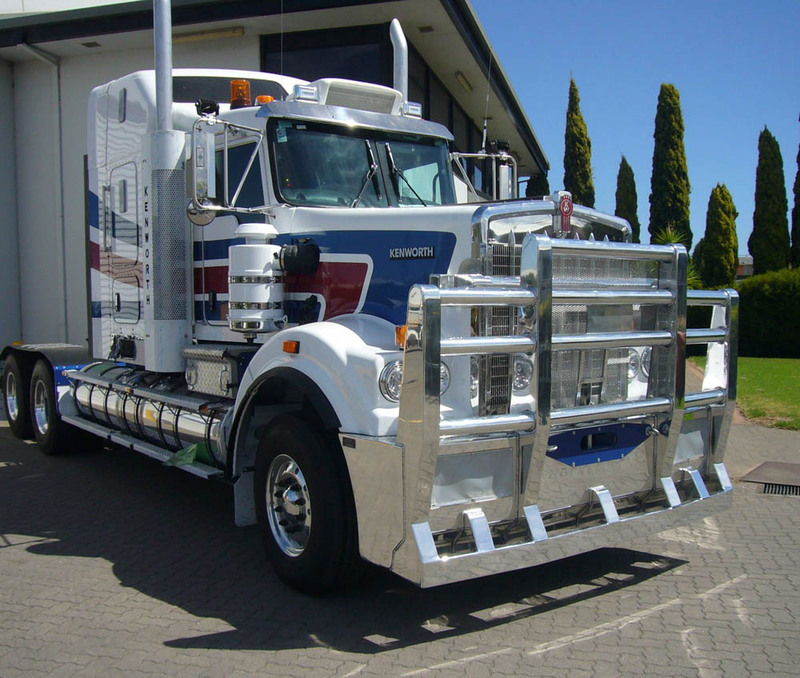 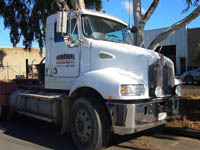 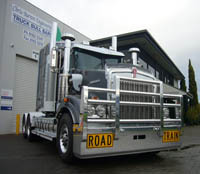 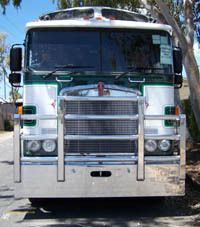 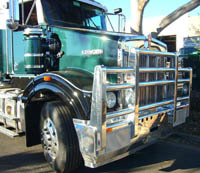 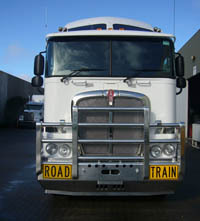 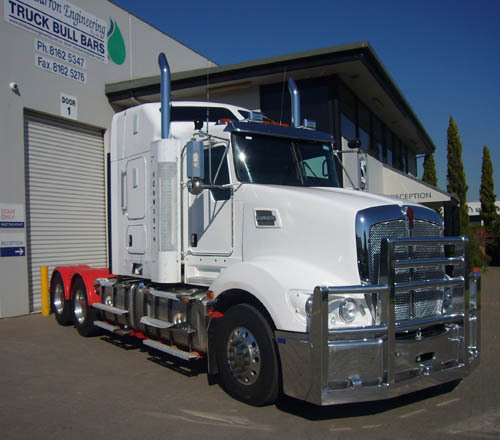 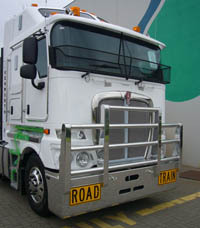 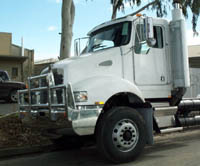 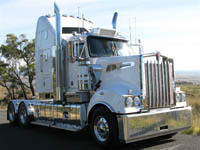 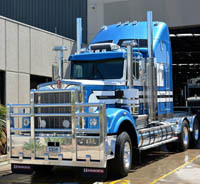 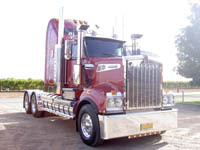 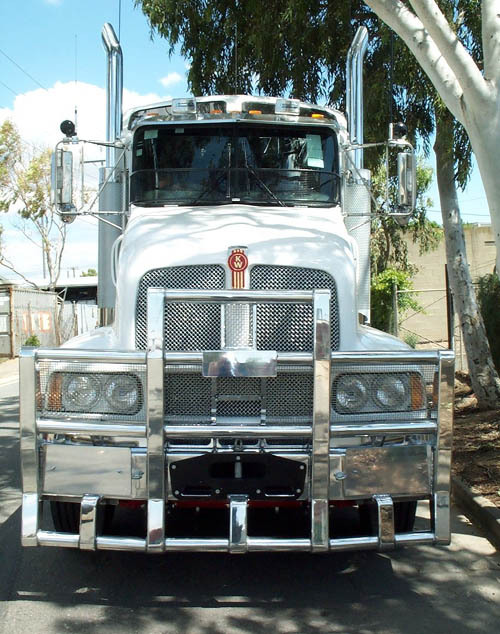 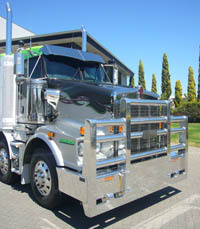 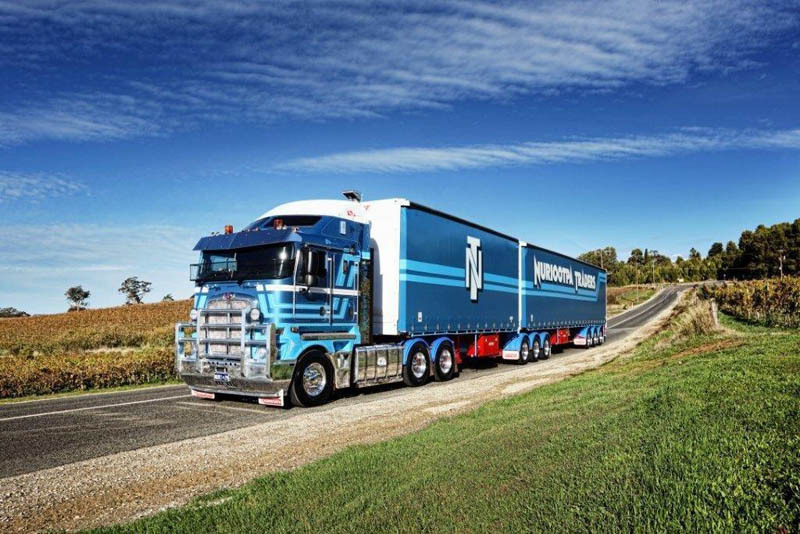 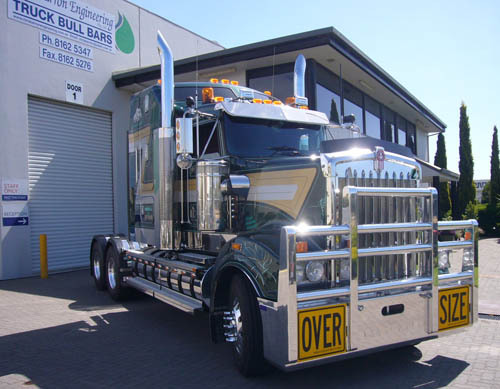 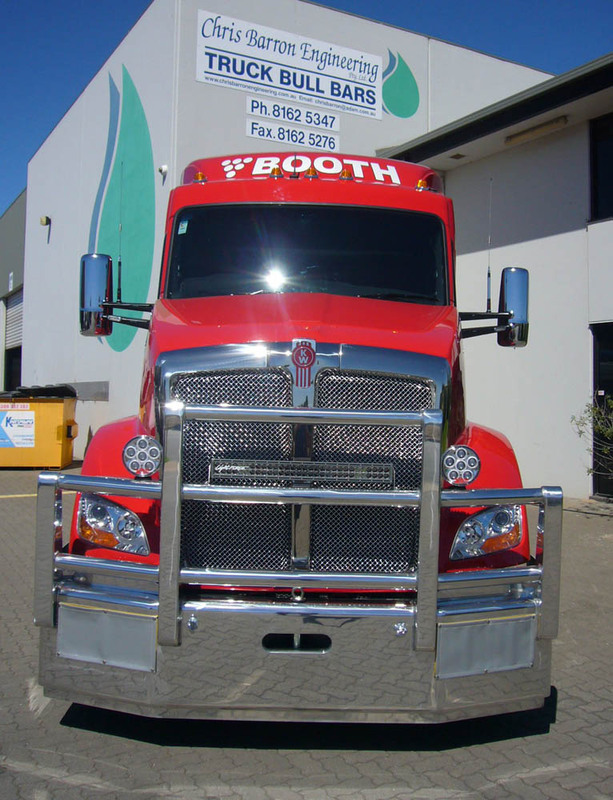 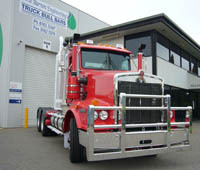 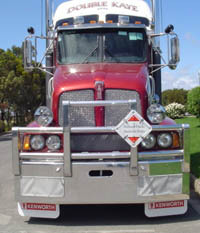 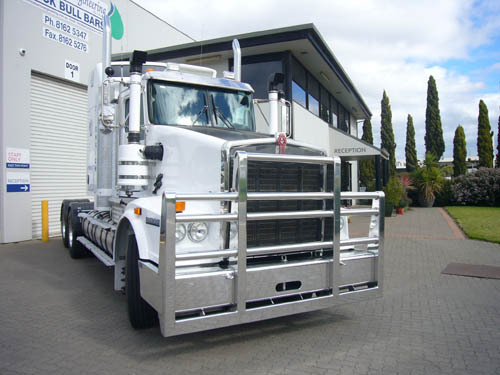 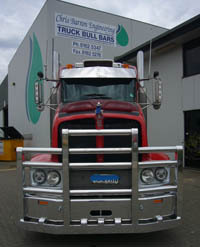 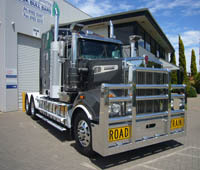 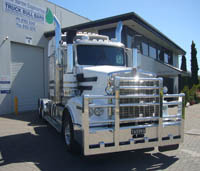 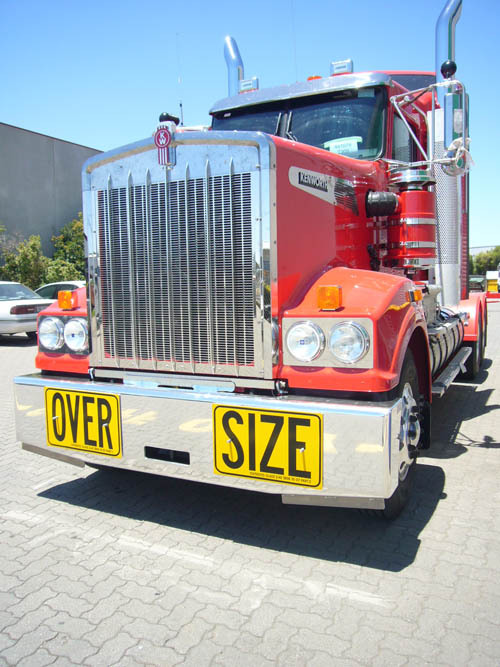 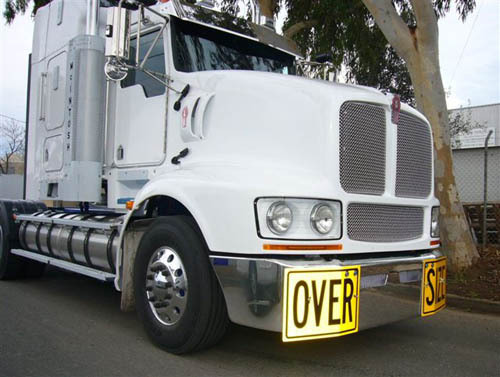 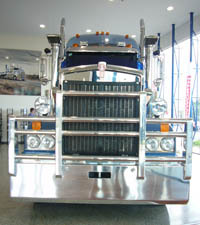 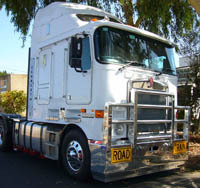 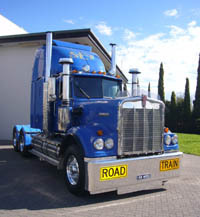 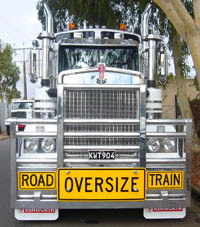 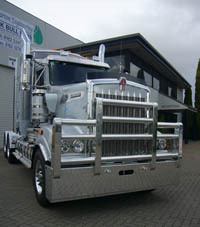 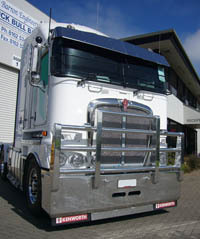 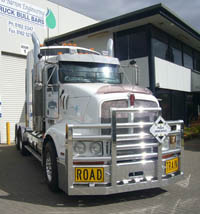 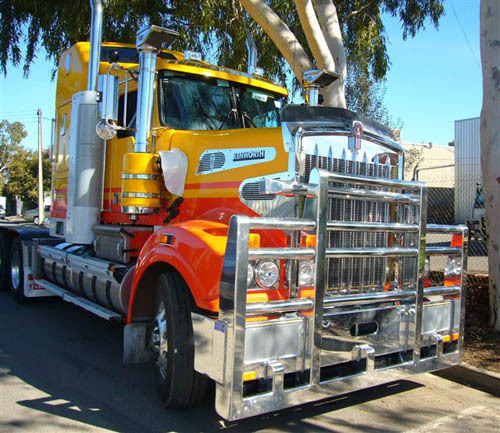 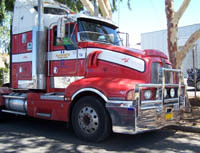 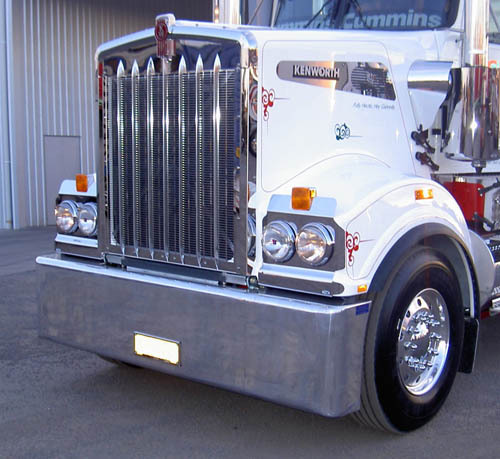 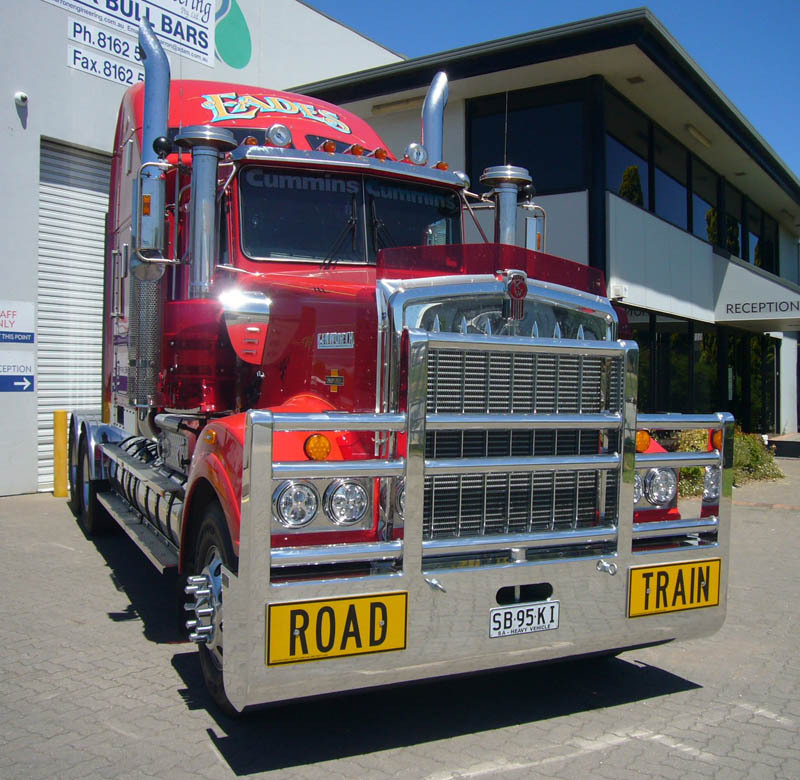 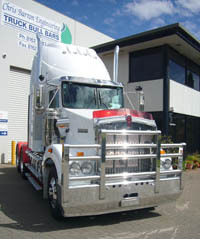 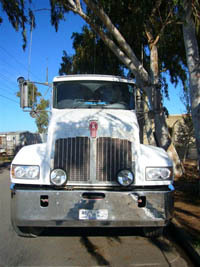 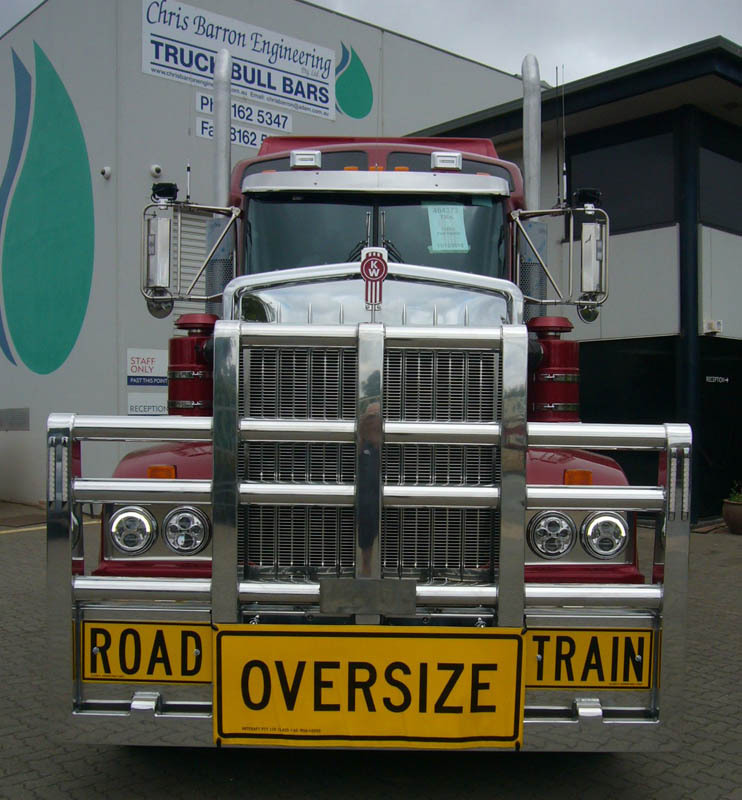 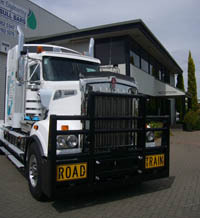 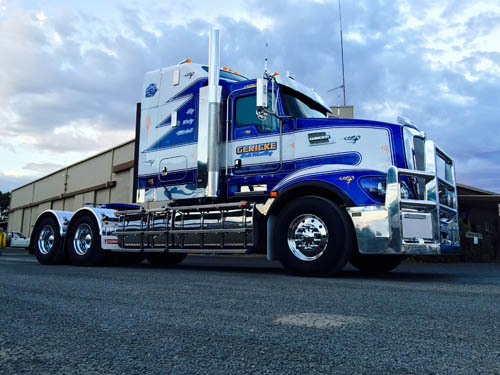 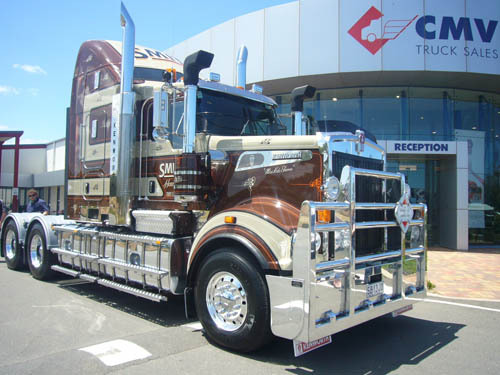 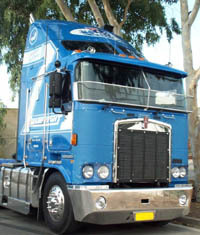 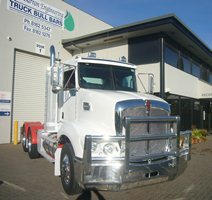 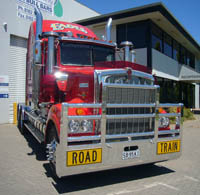 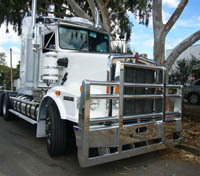 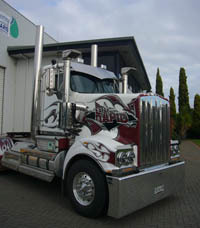 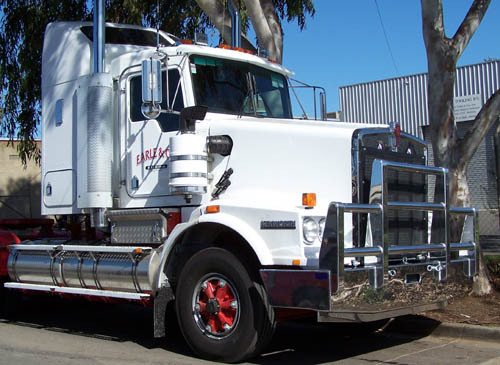 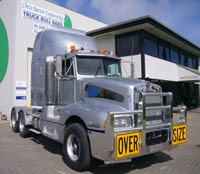 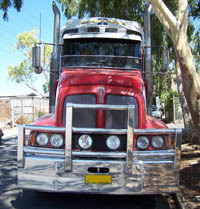 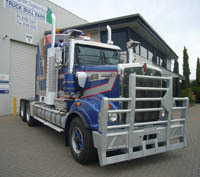 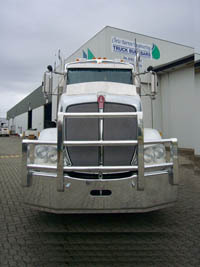 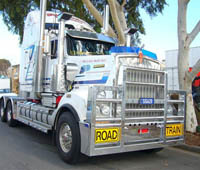 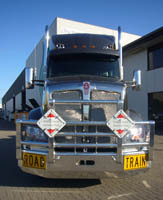 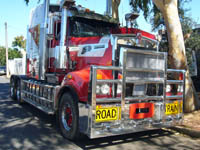 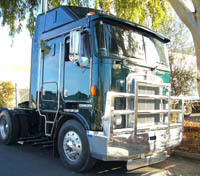 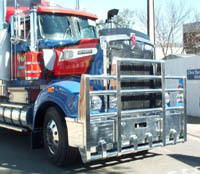 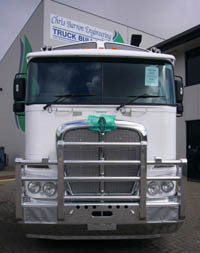 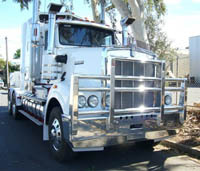 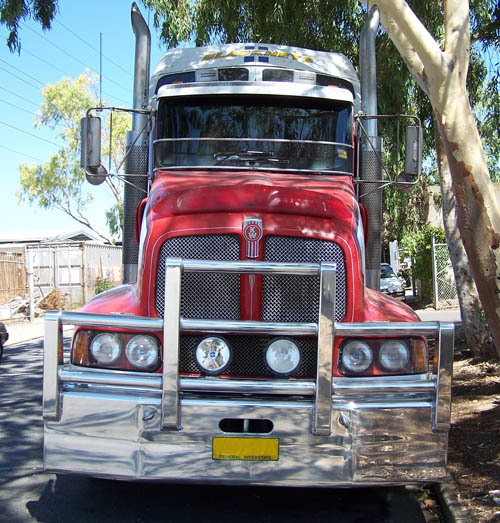 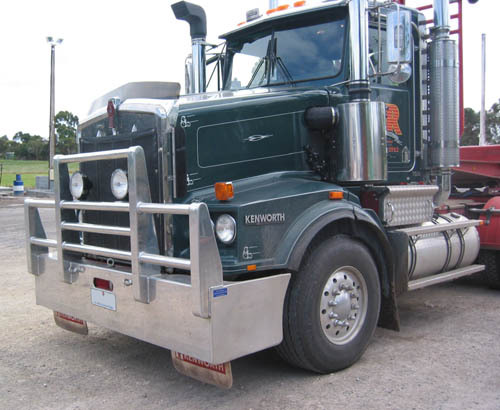 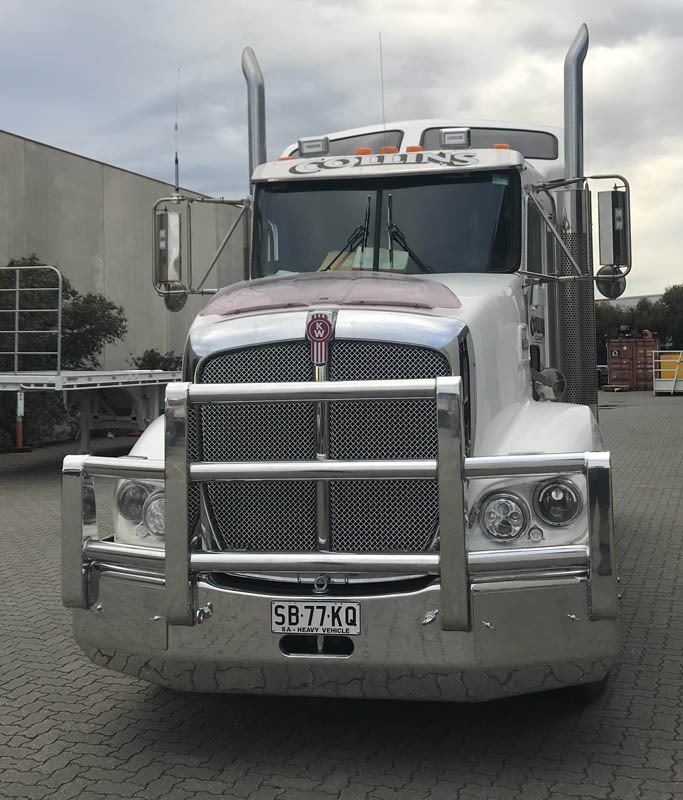 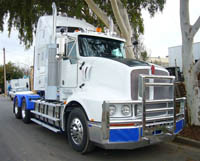 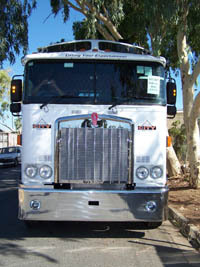 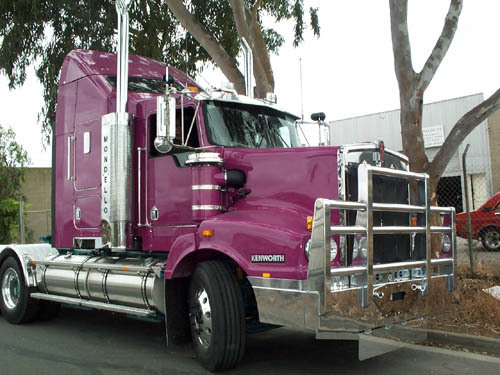 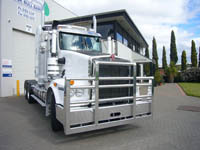 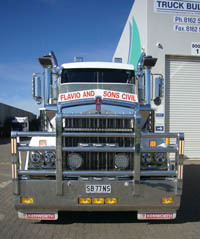 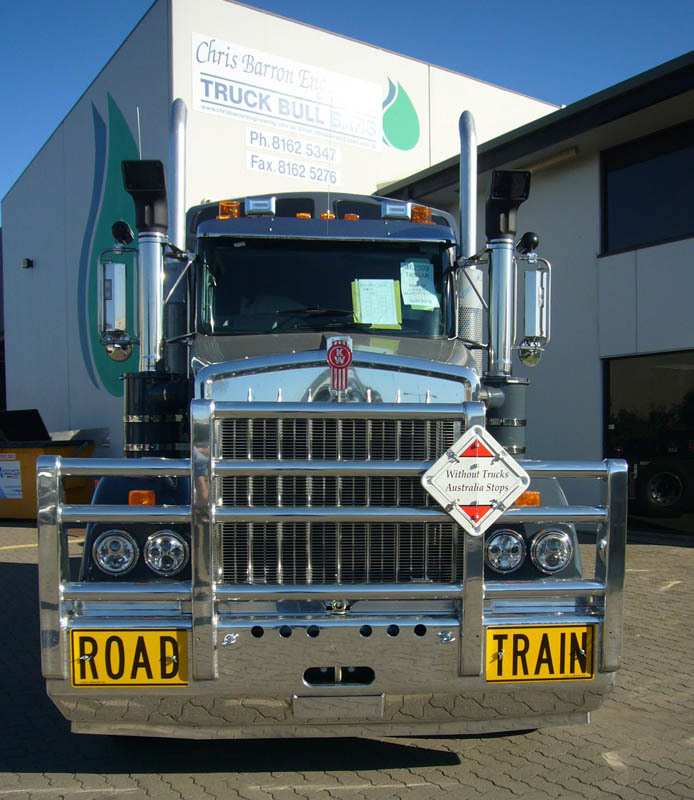 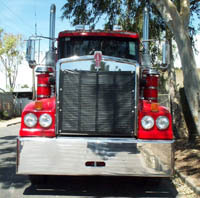 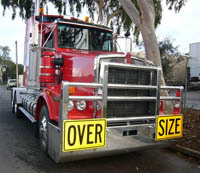 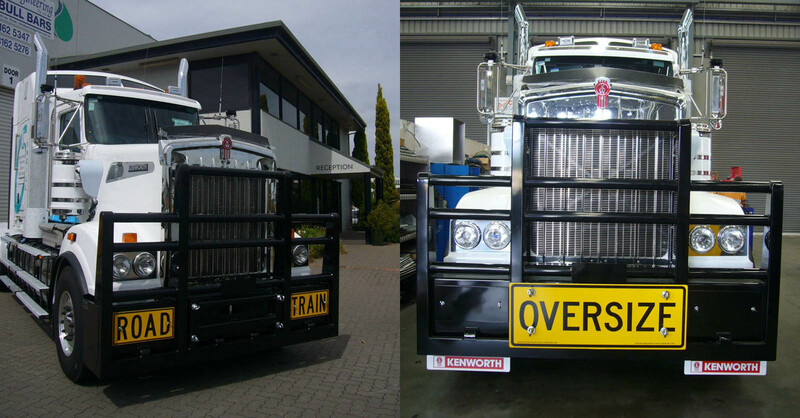 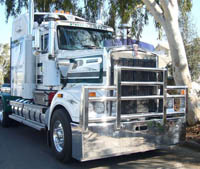 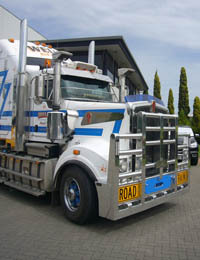 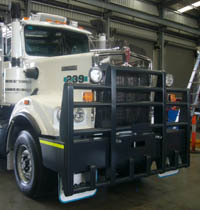 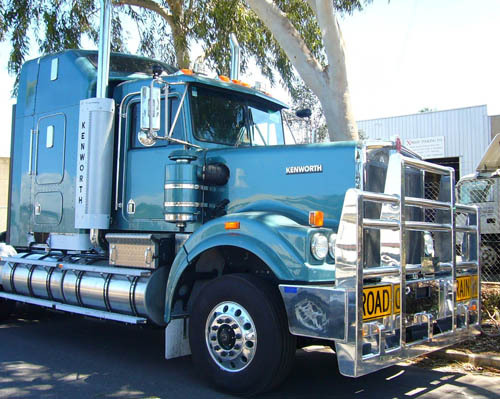 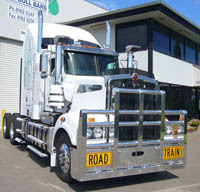 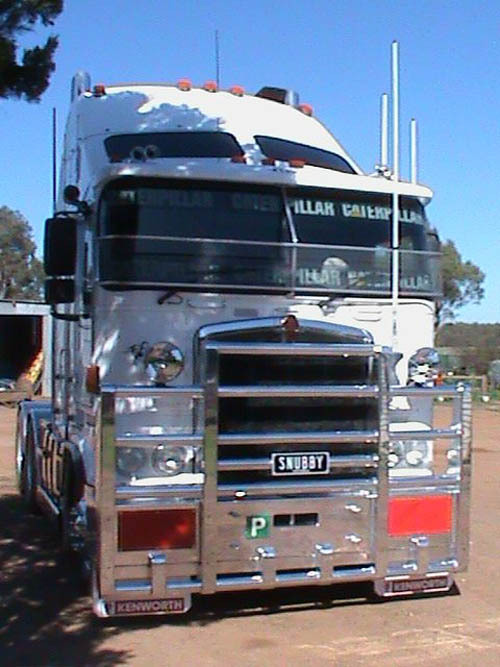 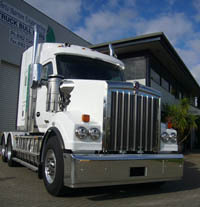 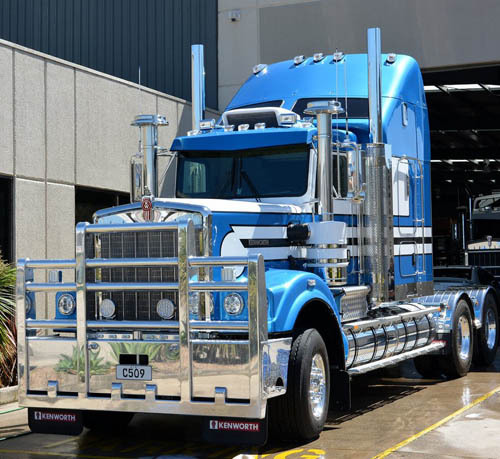 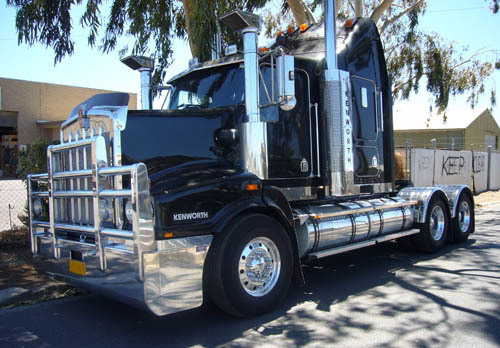 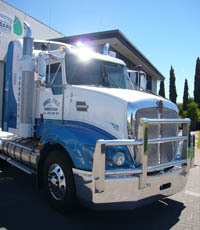 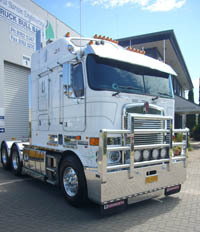 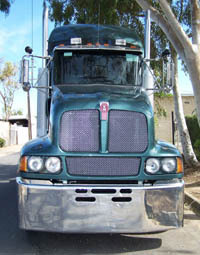 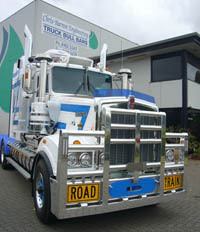 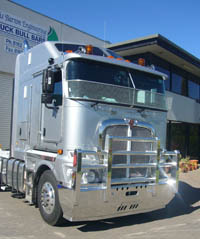 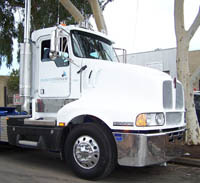 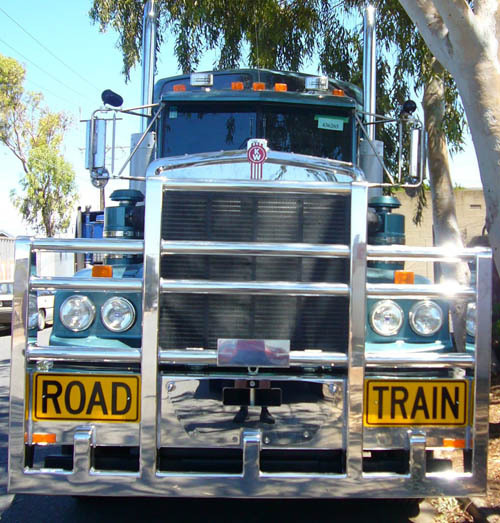 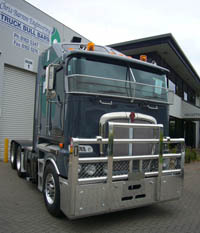 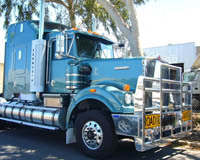 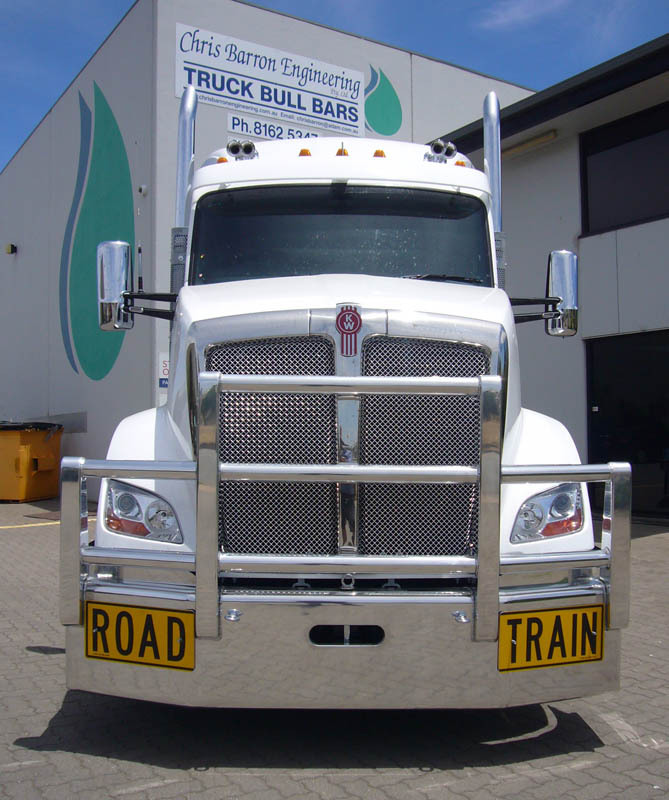 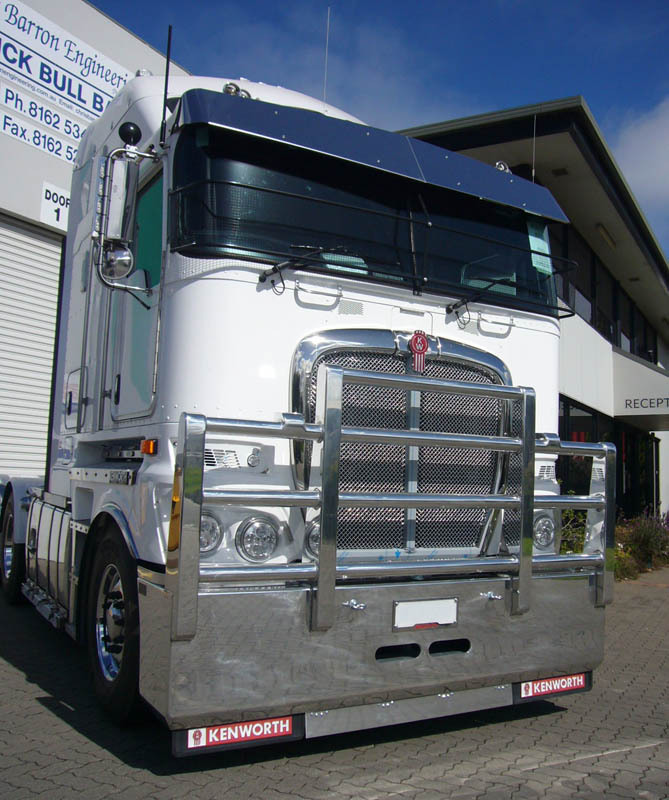 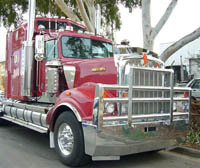 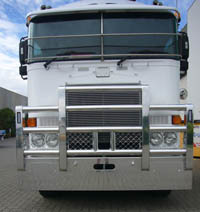 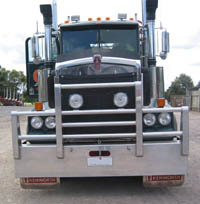 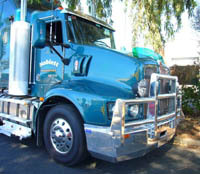 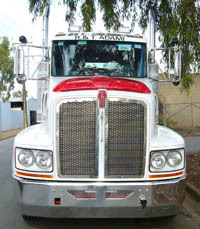 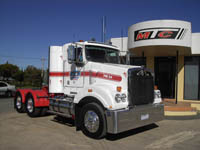 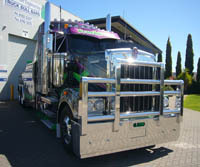 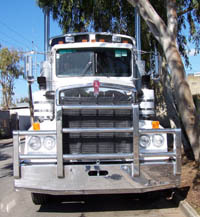 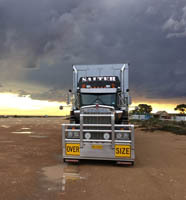 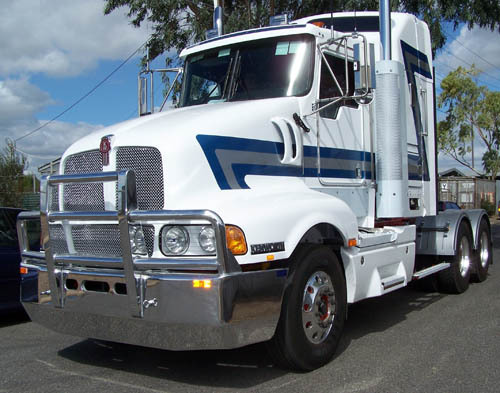 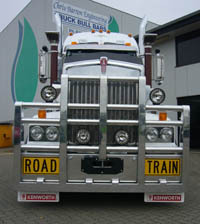 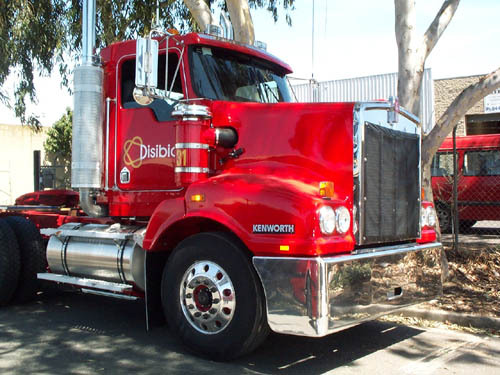 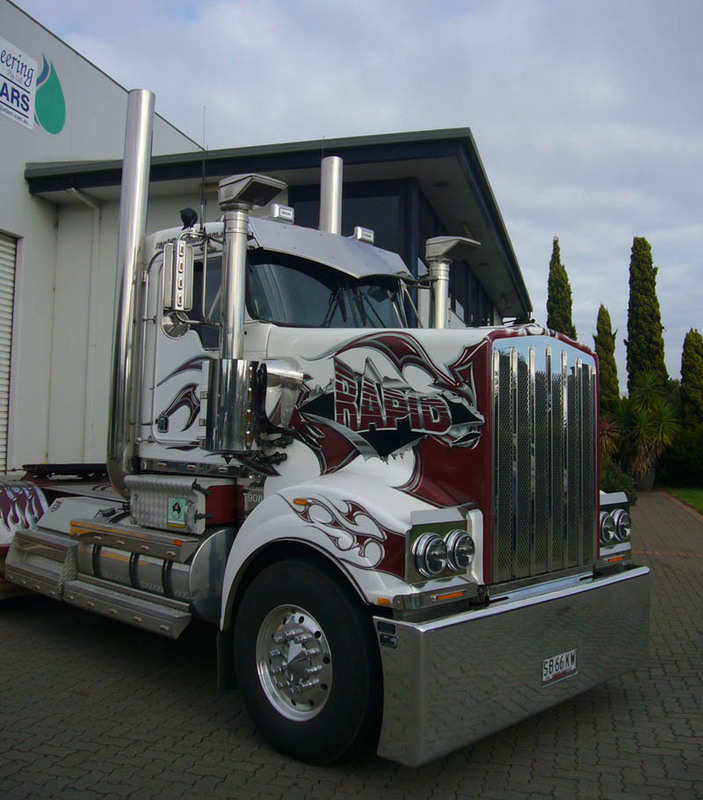 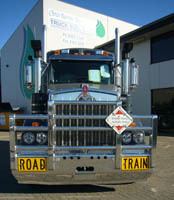 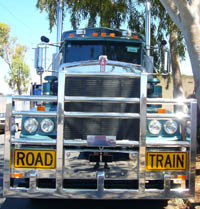 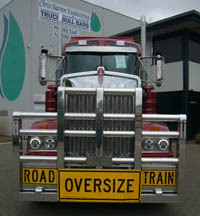 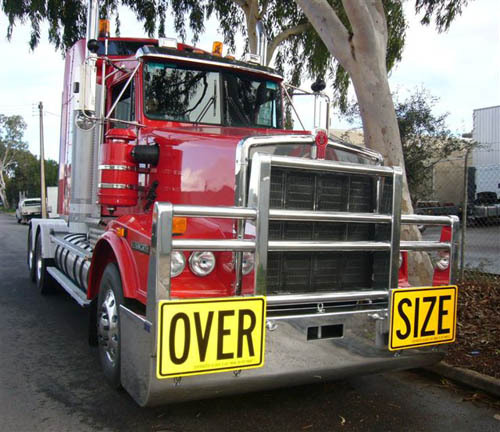 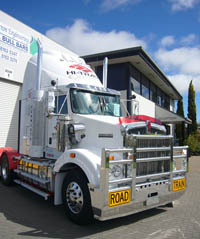 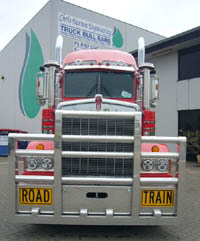 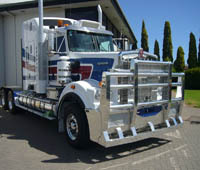 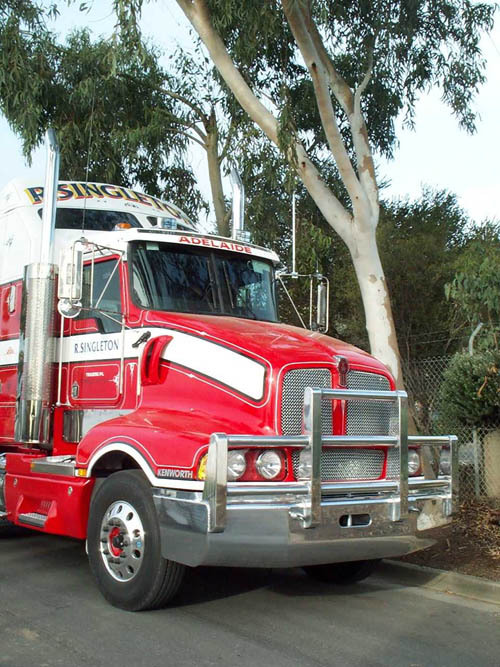 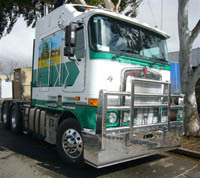 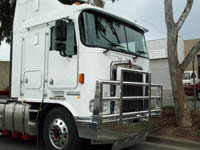 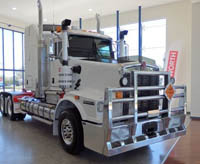 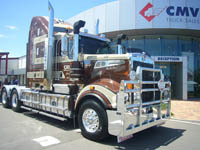 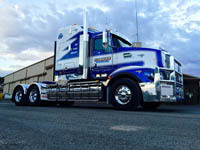 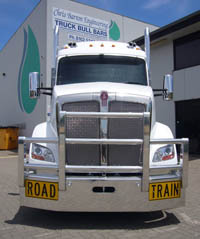 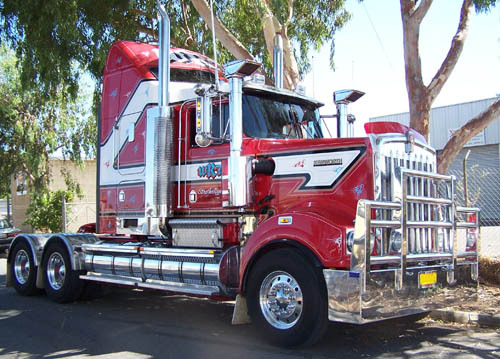 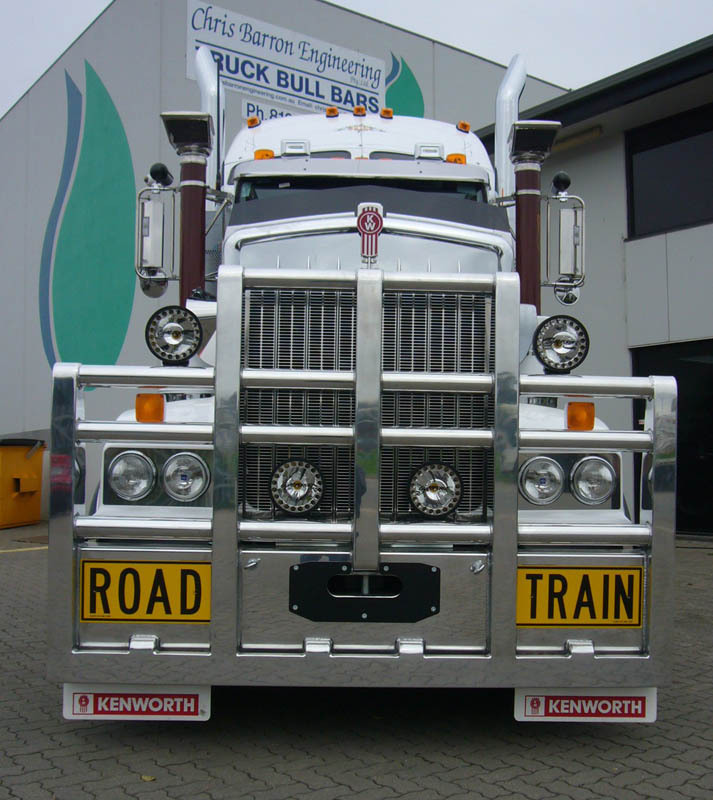 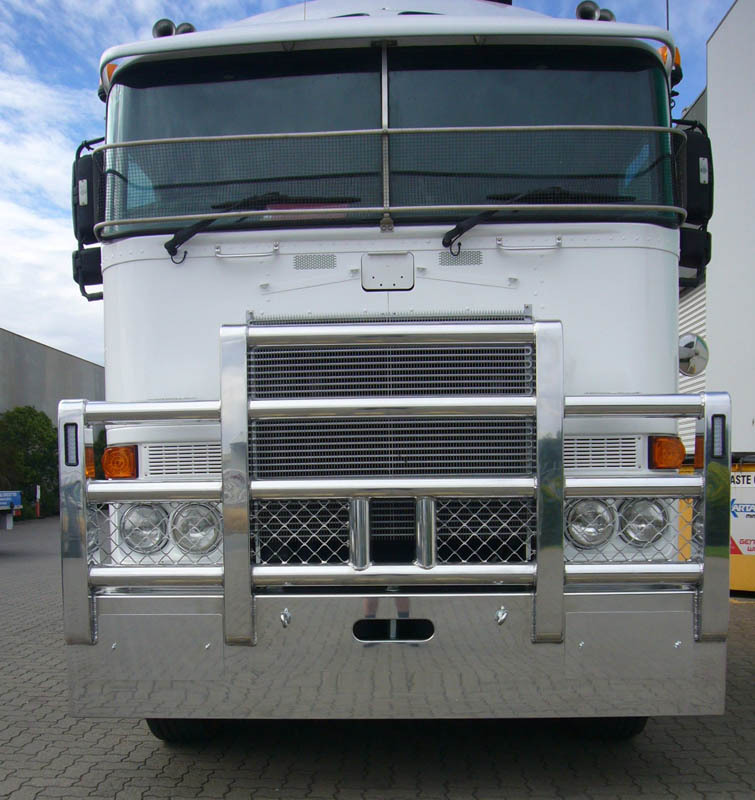 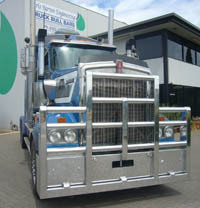 Bumper Bar for Kenworth K104 trucks. 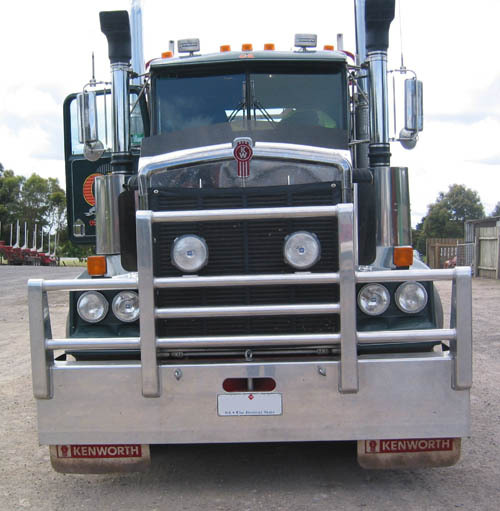 This channel is made from 10mm high tensile aluminium plate bent into shape of original bumper bar with 160mm x 12mm & 10mm x 12mm flat bar for gussets behind channel. 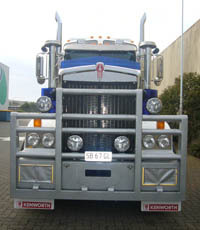 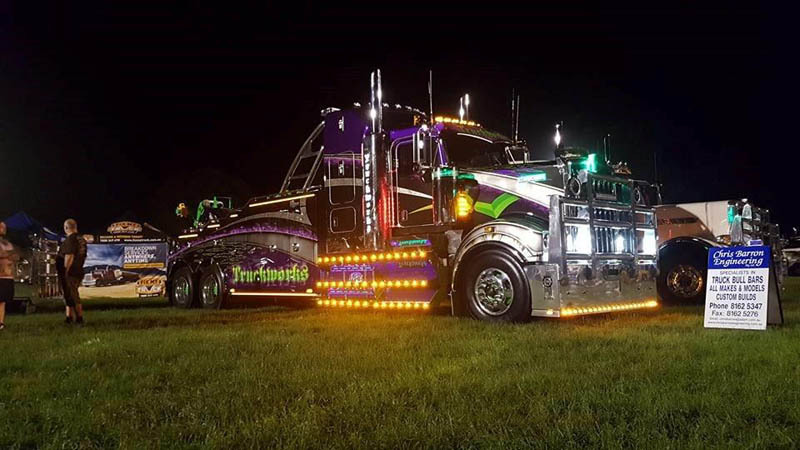 This Bumper Bar comes with or without spot lights. 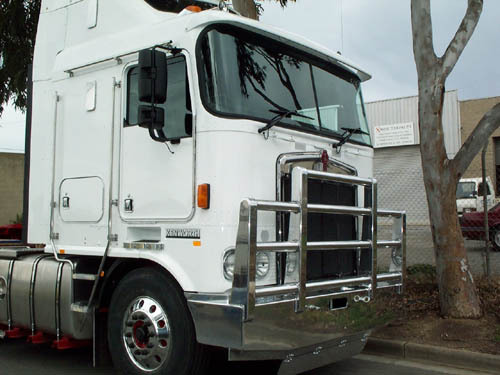 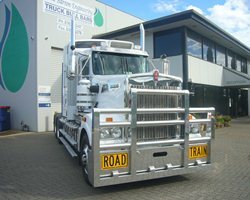 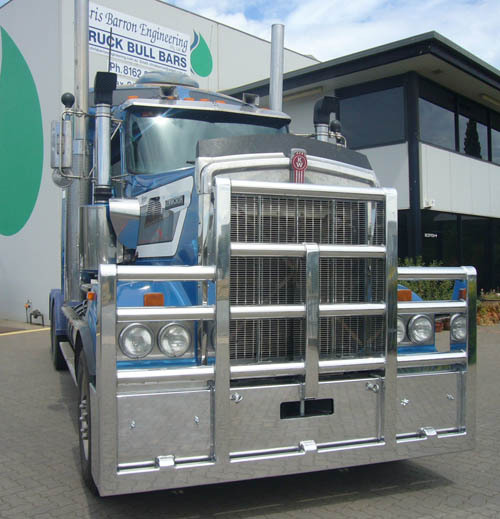 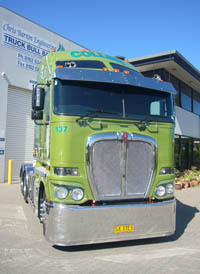 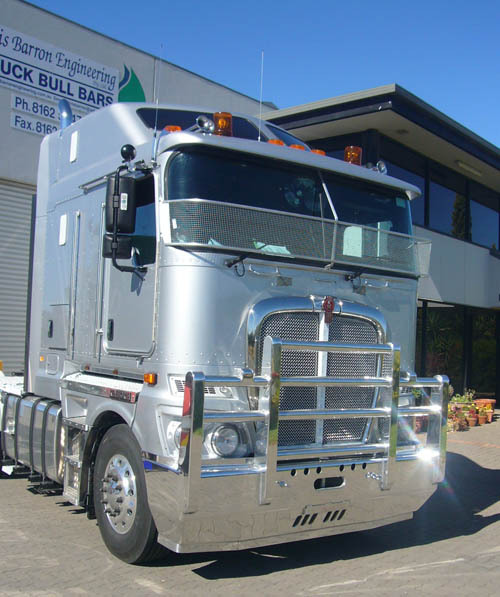 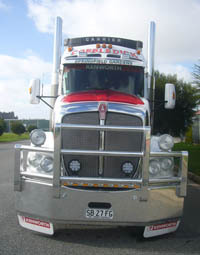 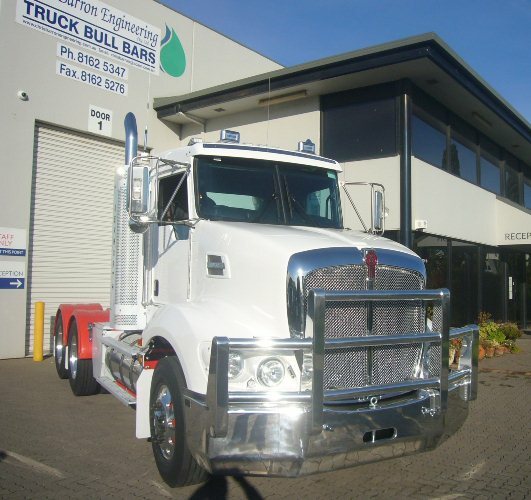 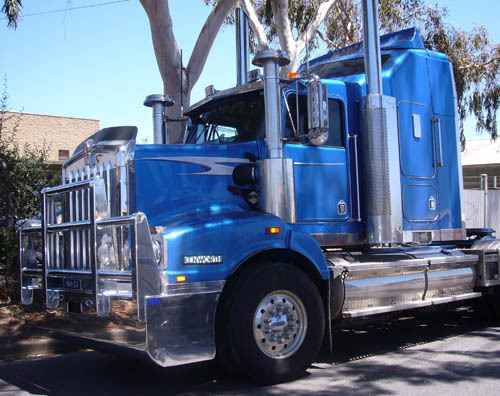 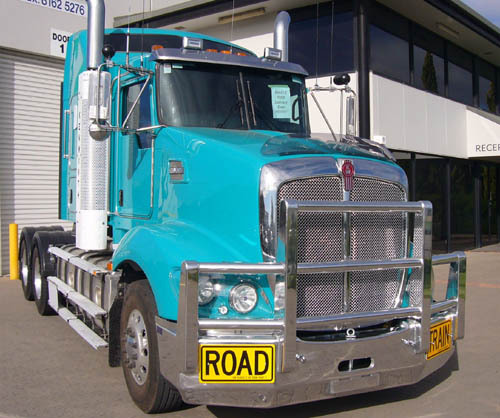 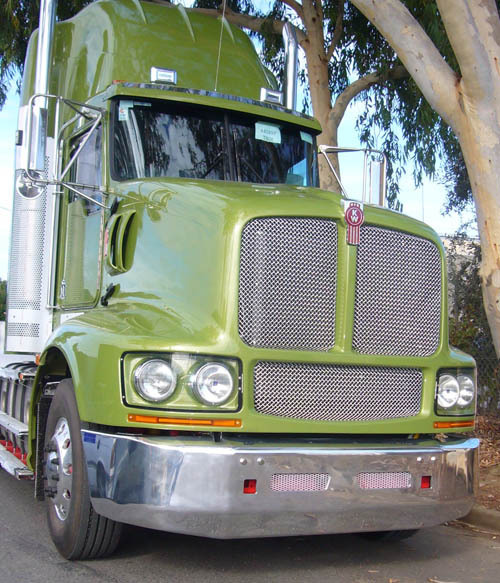 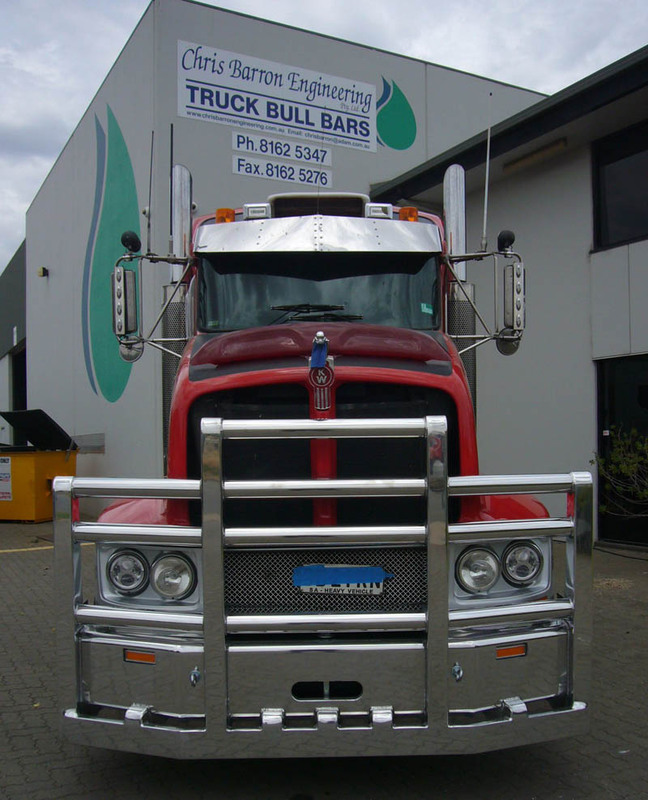 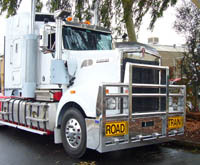 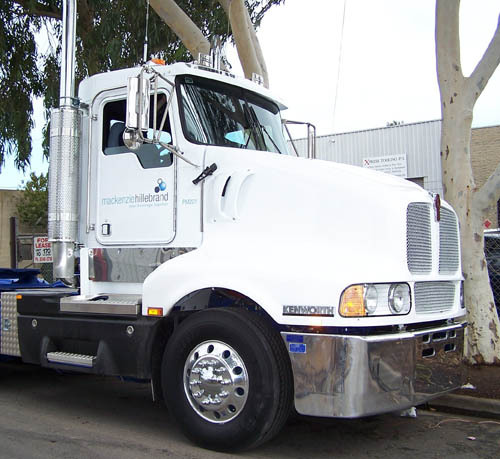 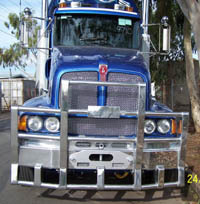 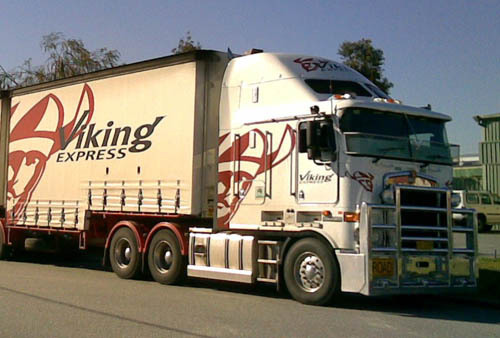 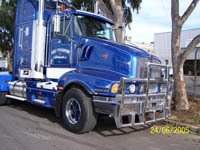 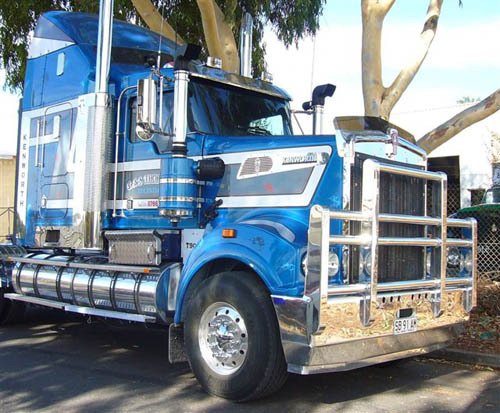 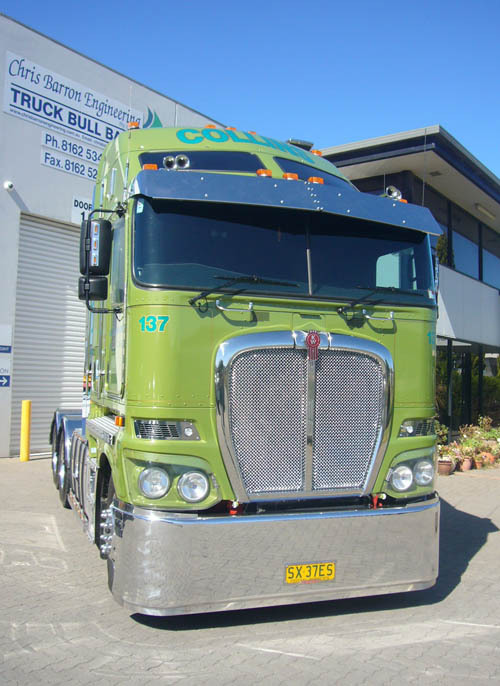 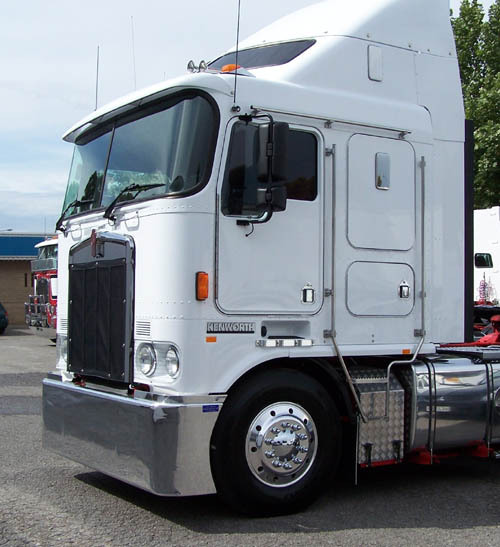 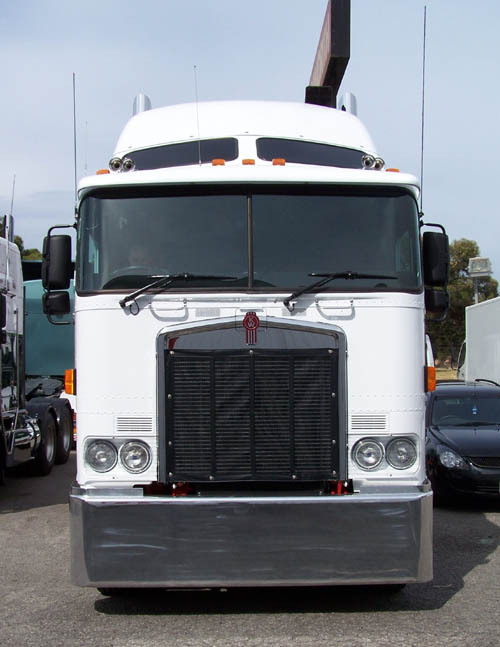 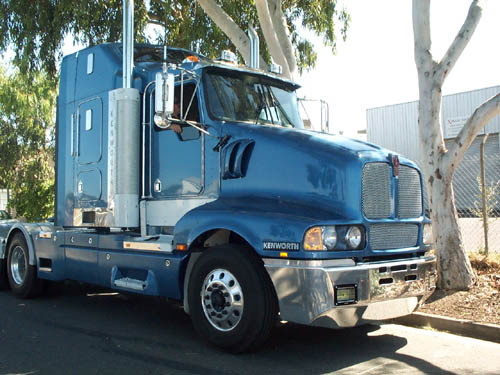 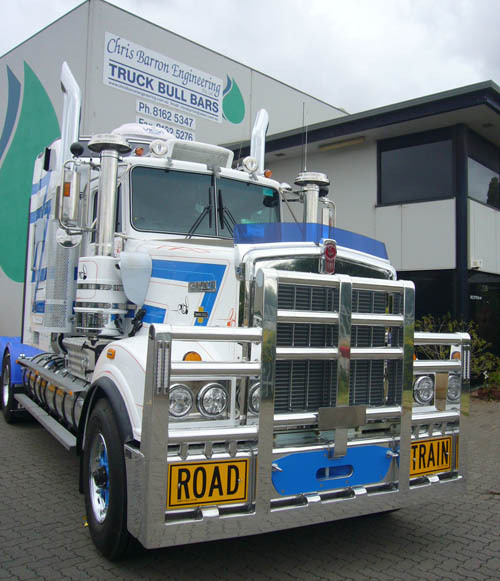 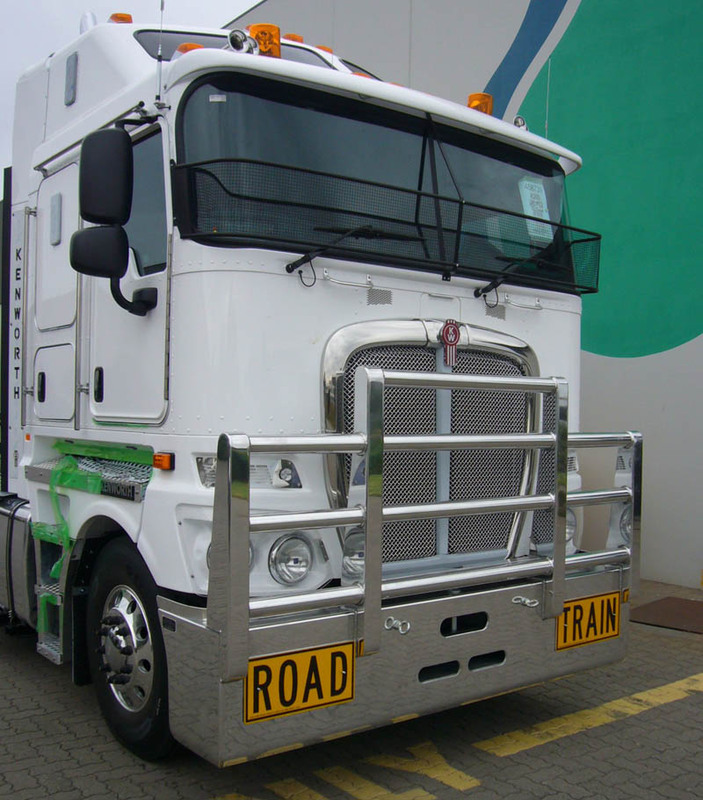 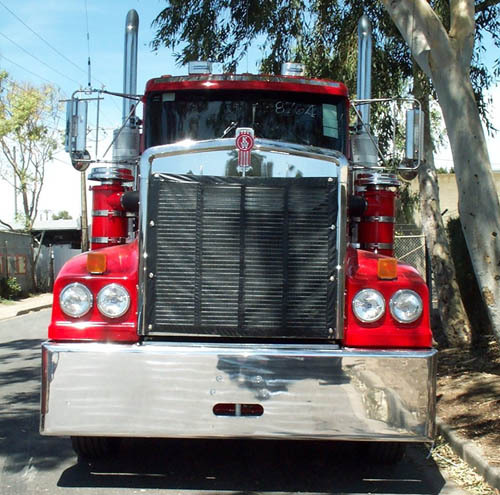 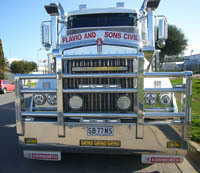 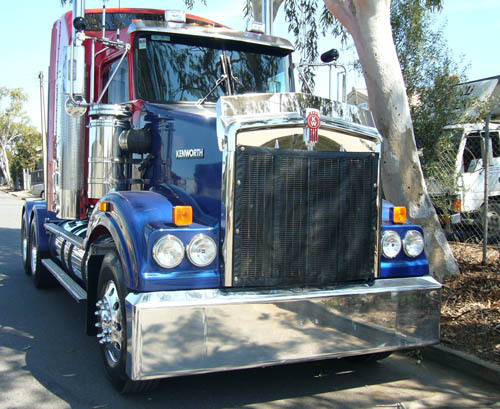 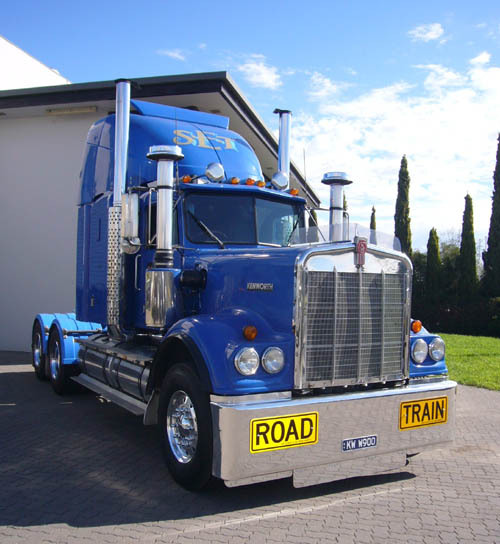 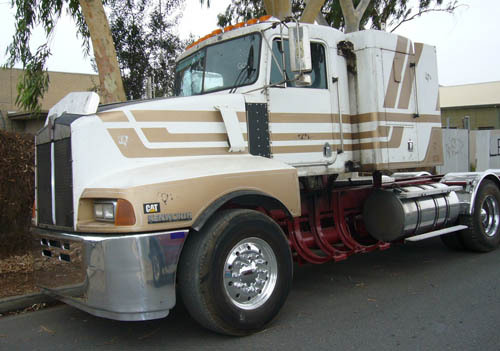 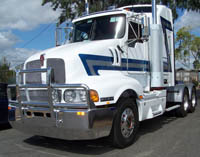 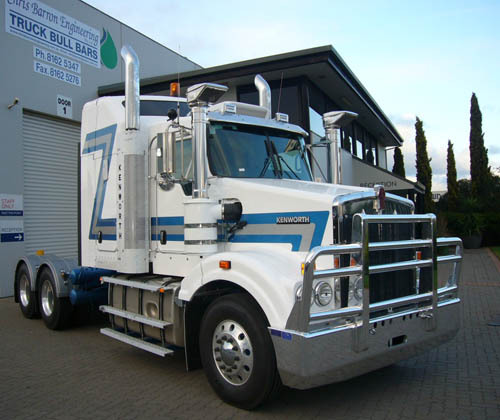 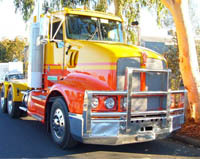 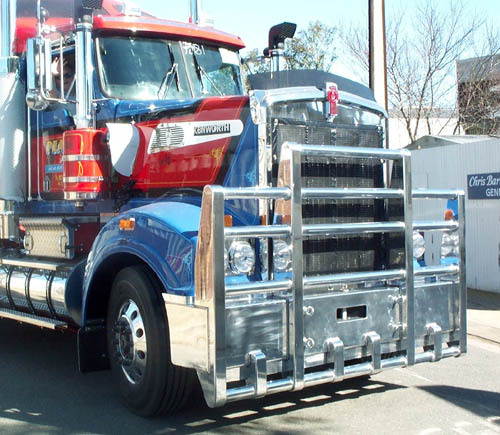 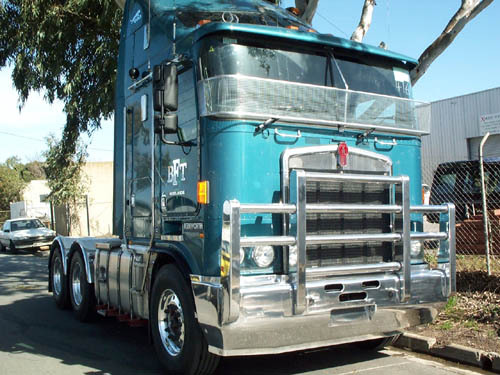 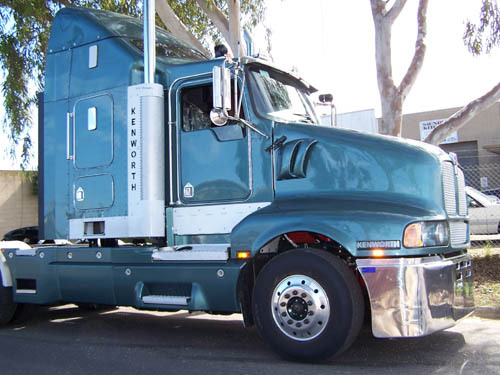 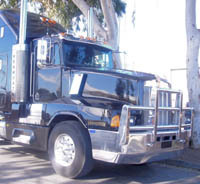 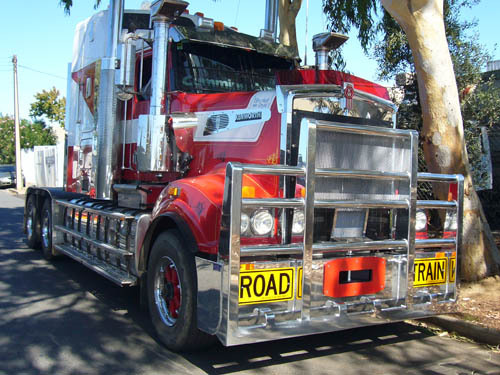 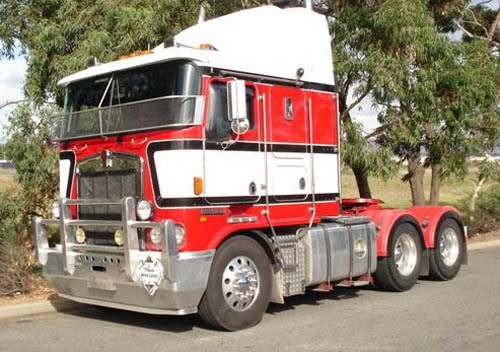 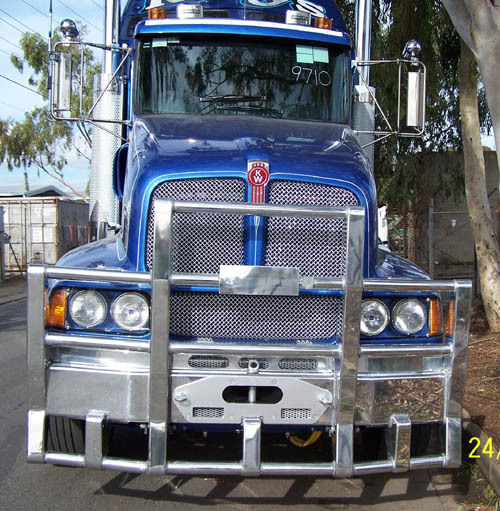 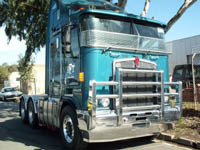 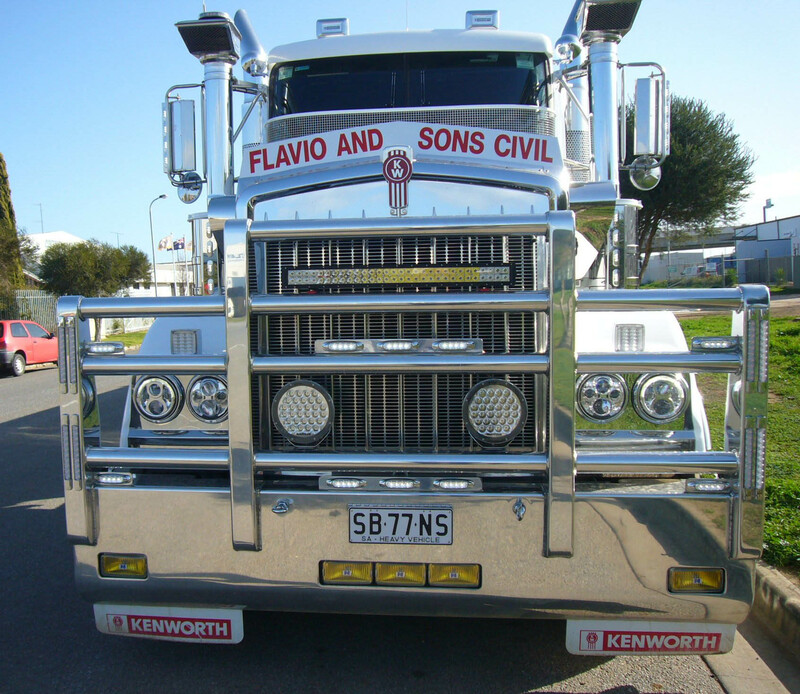 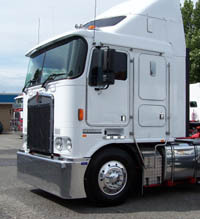 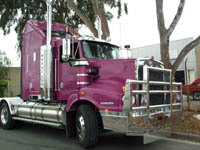 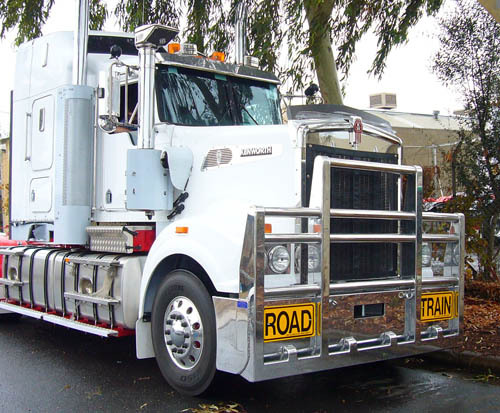 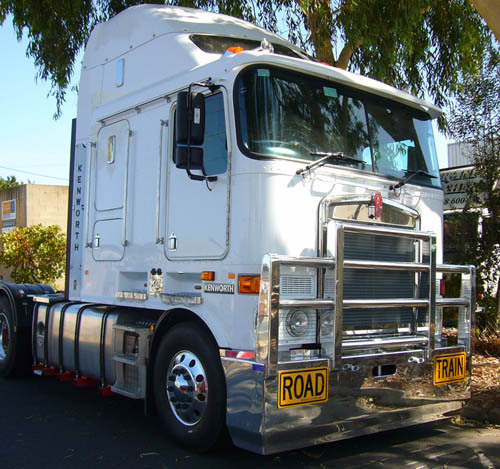 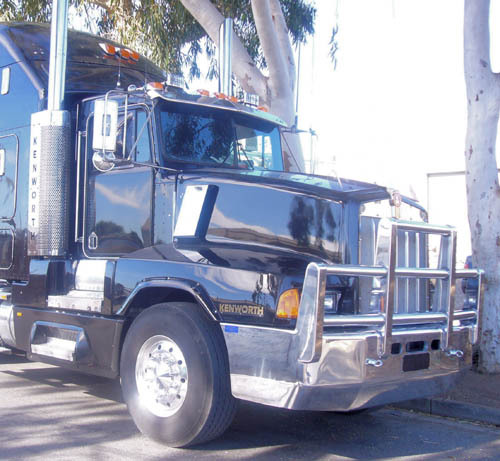 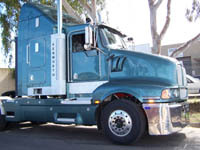 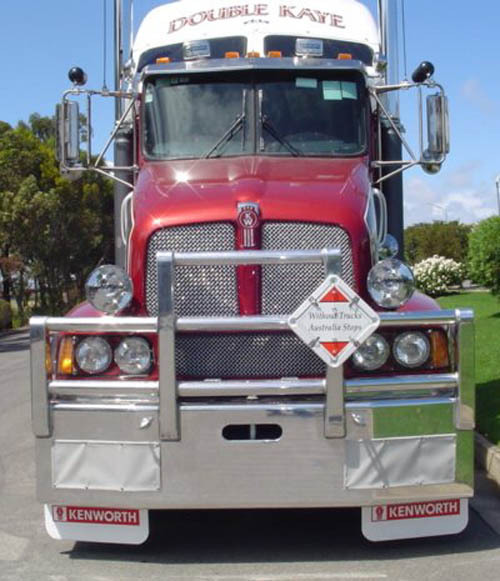 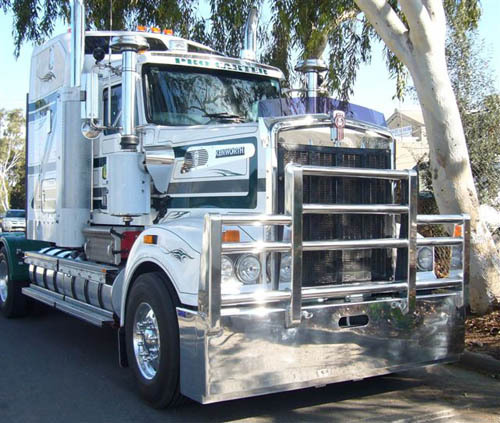 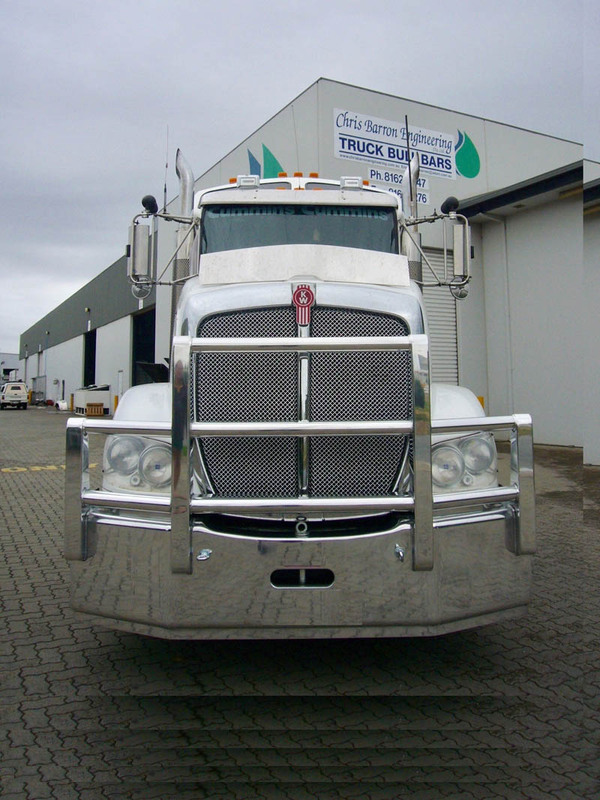 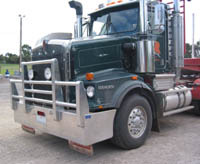 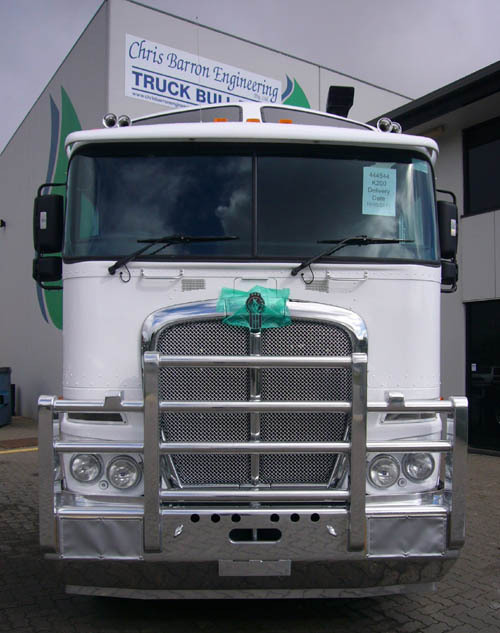 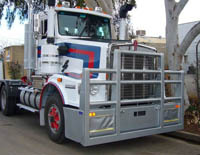 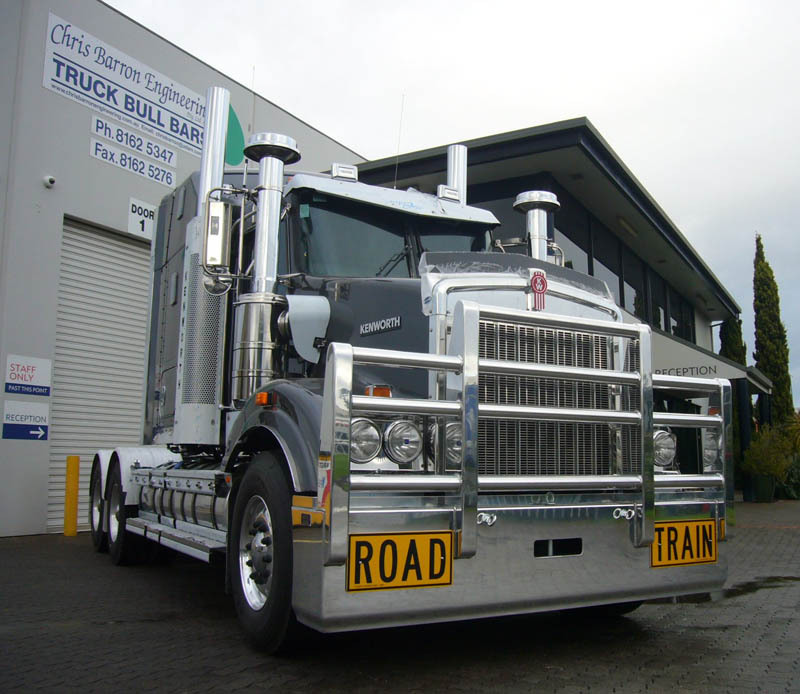 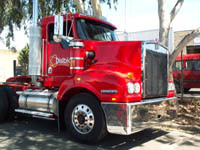 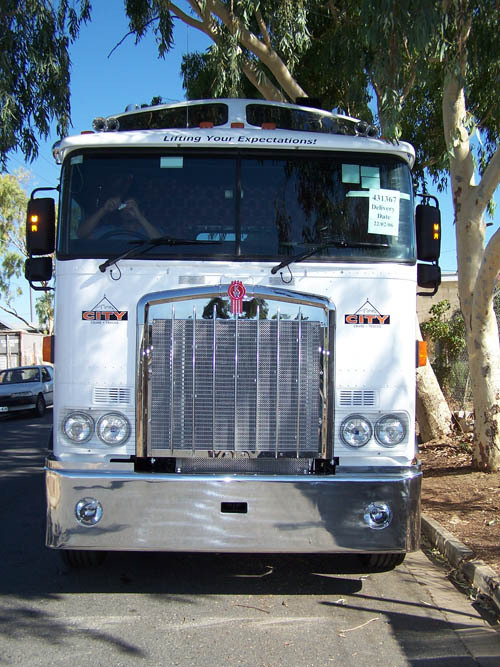 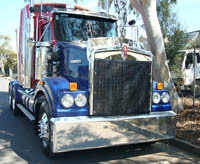 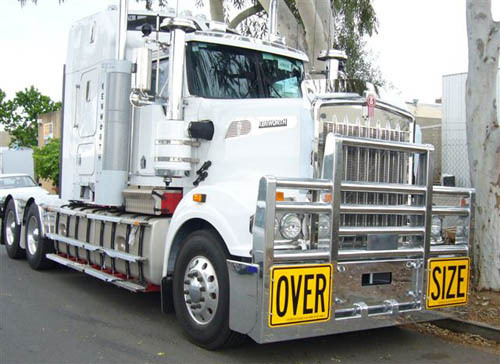 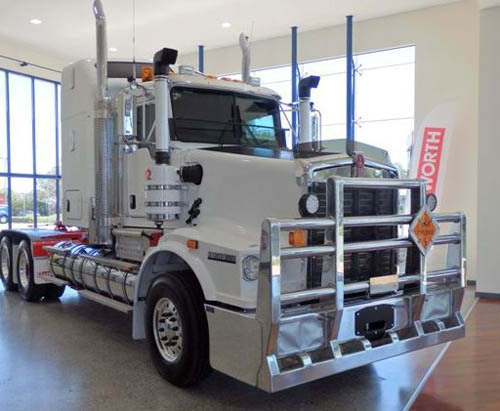 Bumper Bar for Kenworth T904 trucks.